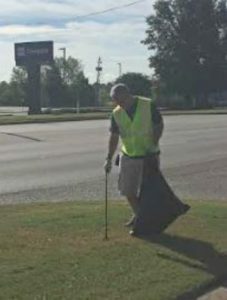 …picking up trash along their adopted mile this past Saturday, Sept 28th. Our “Miracle Mile” stretches from I-565 to the railroad tracks along Wall Triana Highway / Sullivan Street. 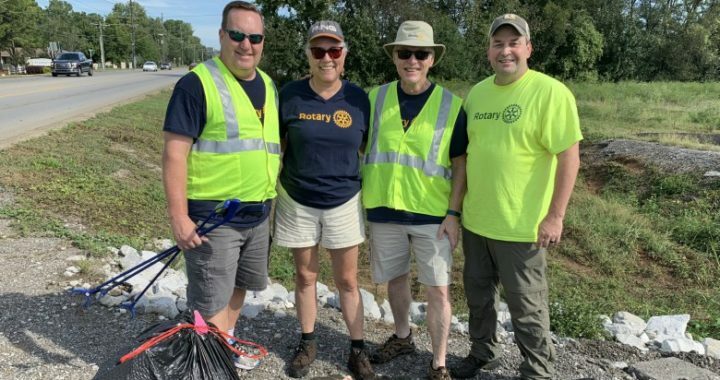 This Done-in-a-Day project was led by President Tim Stone with the help of Rotarians Cynthia Curtis, Bob Pro, Bob Driggers, Dennis Sanders, Al Turner, Larry Smith, and Erik Simonson. (Pictured above, l. to r. are: Erik Simonson, Cynthia Curtis, Dennis Sanders, and Tim Stone). 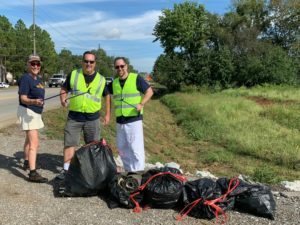 It was certainly a great day to be a Madison Rotarian, trash and all!